This course is a subset of the Open Water Diver course. If you’re short on time but really want to become a diver, the PADI Scuba Diver rating might be right for you ̶ particularly if you want to primarily use a guide whenever you go scuba diving. PADI Scuba Divers are qualified to dive under the direct supervision of a PADI Professional to a maximum depth of 12 metres/40 feet, obtain air fills, rent or purchase scuba equipment and participate in dive activities as long as properly supervised, and continue dive training by completing the Open Water Diver certification and taking certain specialty diver courses. Knowledge Development (online, independent study or in a classroom) to understand the basic principles of scuba diving – just the first three sections of the Open Water Diver manual. The PADI Scuba Diver course can be completed in one day if you’ve completed the course on-line, or two days if you’d like to work directly from a manual. There are other home-study materials you can choose from including the Open Water Diver TouchTM (a tablet app) or contact me to obtain the Open Water Diver Manual and Open Water Diver Video (a book and DVD package). 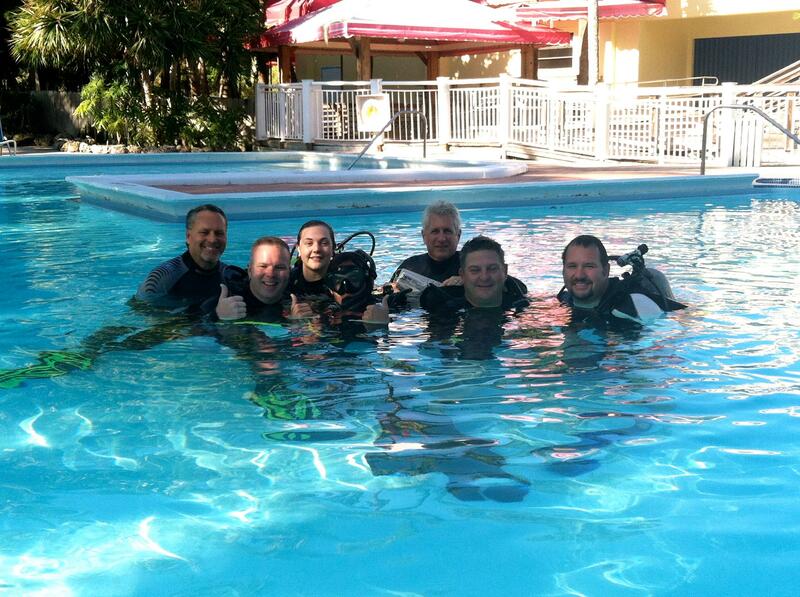 You learn to use basic scuba gear, including a mask, snorkel, fins, regulator, buoyancy control device and a tank. Exposure protection in the form of a wetsuit or dive skin is also appropriate depending upon the time of year.